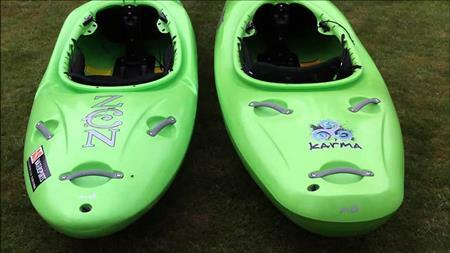 I am a new kayaker who entered the sport via a playboat. I want to do whitewater in a wide variety of settings and classifications. I can probably only get one more boat. The question is - creeker or river runner? My play boat is a slicey Pyranha S8 235. I am a big guy - 6 foot 2, weighing 220 pounds. Looking at Jackson Karma and Jackson Zen - and boats like them in the river runner and creeker type varieties. So most likely a large sized boat. I also like the idea of it being truly big enough to where I can extend the bulkhead and relax legs without getting out of the boat. My current play boat is tough to stay in very long without legs going to sleep. I'm new to the sport but love it - and am into adventure sports so probably will be rather adventurous with kayaking as i progress.